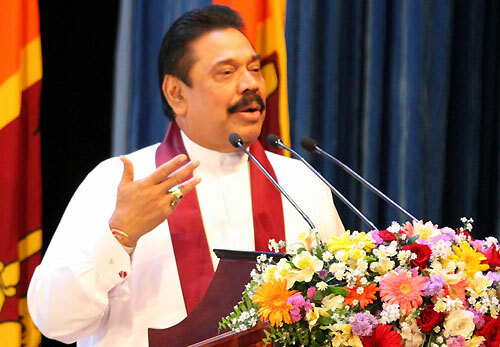 President Mahinda Rajapaksa emphasised, it is the responsibility of the state banks to safeguard the small entrepreneur. He reiterated that state banks also should provide loans to minor entrepreneurs in villages and upgrade them without restricting in granting loans only to entrepreneurs in Colombo. 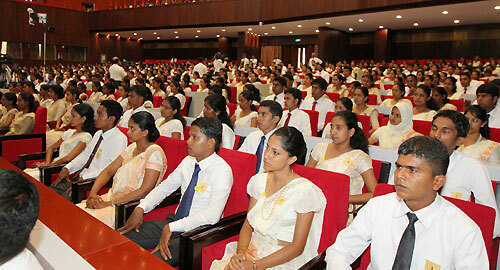 The President made these remarks this morning (April 24) at the ceremony which was organised to handing over of letters of appointment to Banking Assistants newly recruited to the People’s Bank at the BMICH in Colombo. Addressing the ceremony, the president pointed out those small scale entrepreneurs discharged a significant service when a country was developing speedily. Therefore he referred to the importance of state banks directing more attention on encouraging small entrepreneurs. They suffer setbacks as they lack of management. It is the obligation of the bank to handle them. He further pointed out that investigation will be conducted regarding the business collapses of small entrepreneurs due to various reasons and to reactivate them. The president said that businessmen who fail to repay their debt should be looked into and relief granted if necessary. Further expressing his views the President said that customers are more important. They should be well treated. He requested the new recruits to provide an efficient service to the customers. 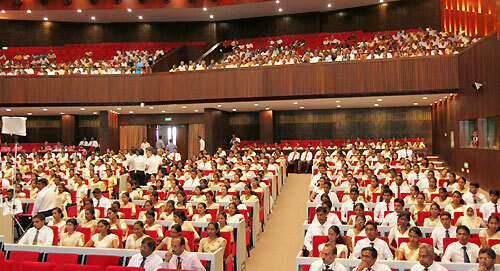 400 Banking Assistants representing the Western and Southern Provinces received appointment letters at today’s ceremony. 1000 Banking Assistants have been recruited to the People’s Bank. 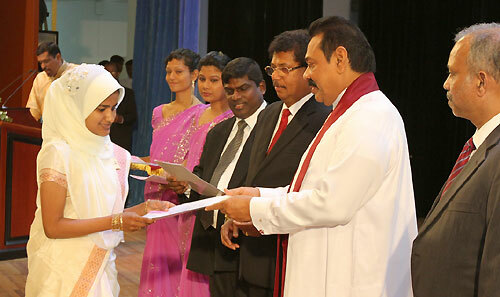 Last February 600 of them received their letters of appointment at a different ceremony which was held under the patronage of President Rajapaksa. 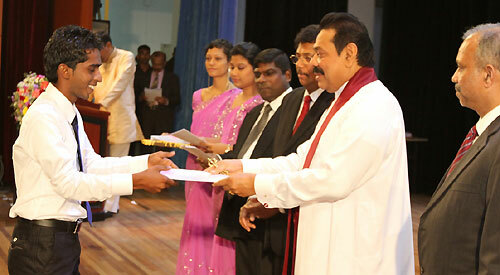 The handing over of appointment letters to the rest was postponed due to Western and Southern Provincial polls. They received their letters of appointment today. Deputy Finance Minister Dr. Sarath Amunugama and the Chief of Presidential Staff and Chairman of the People's Bank Gamini Sedara Senarath also addressed at this occasion. People’s Bank; Members of the Board of Directors, Chief Executive Officer / General Manager, N Vasantha Kumar together with the Corporate & Executive Management, representatives from trade unions and voluntary associations, bank officials as well as the family members of the appointees were also present.